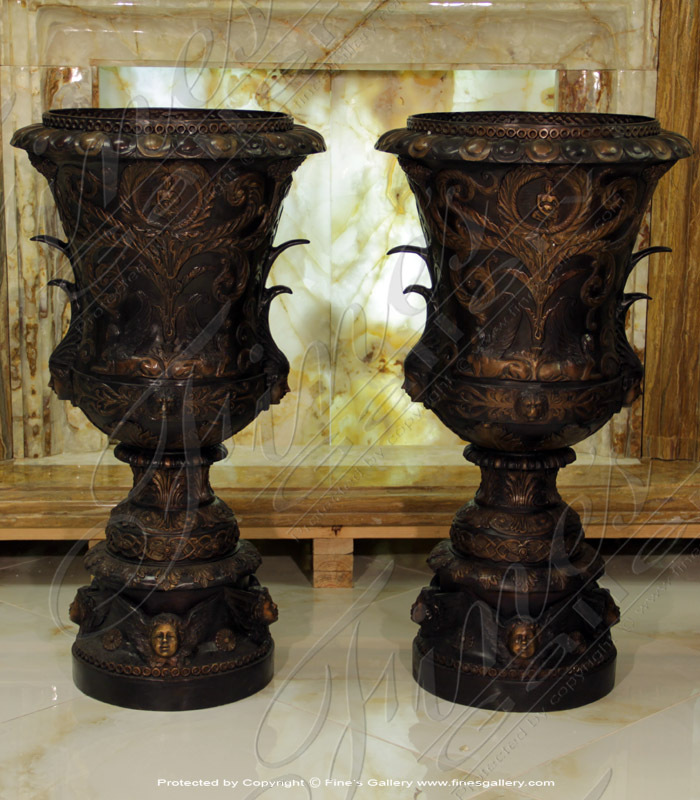 This exotic and intriguing bronze planter urn is crafted from dark brown bronze and features unusual artwork. Highly decorative with fine artistry, use this accent to enhance the beauty of any room. Price for a pair. 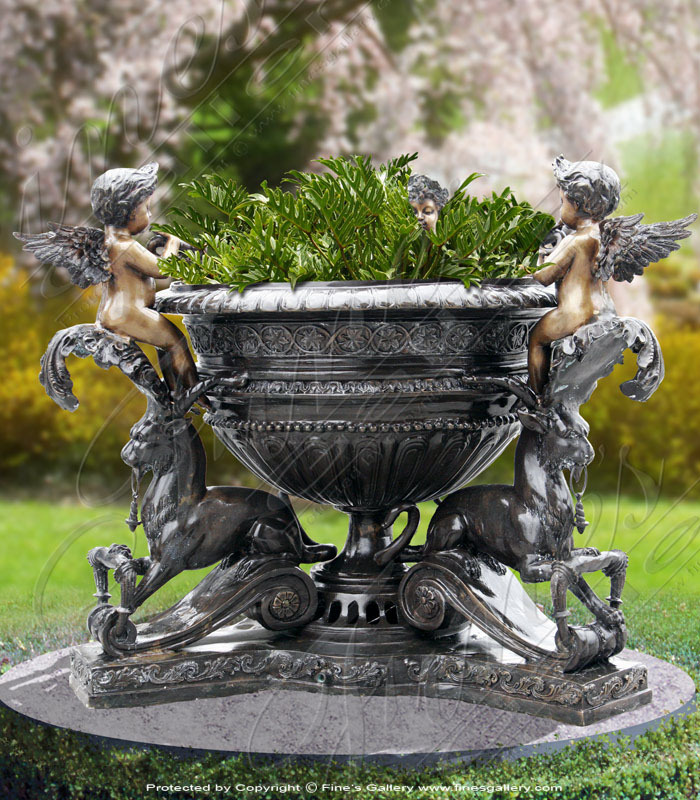 This immaculate bronze planter features lavish artwork with golden highlights. Mythical themed characters cover the outer walls and form the handles. 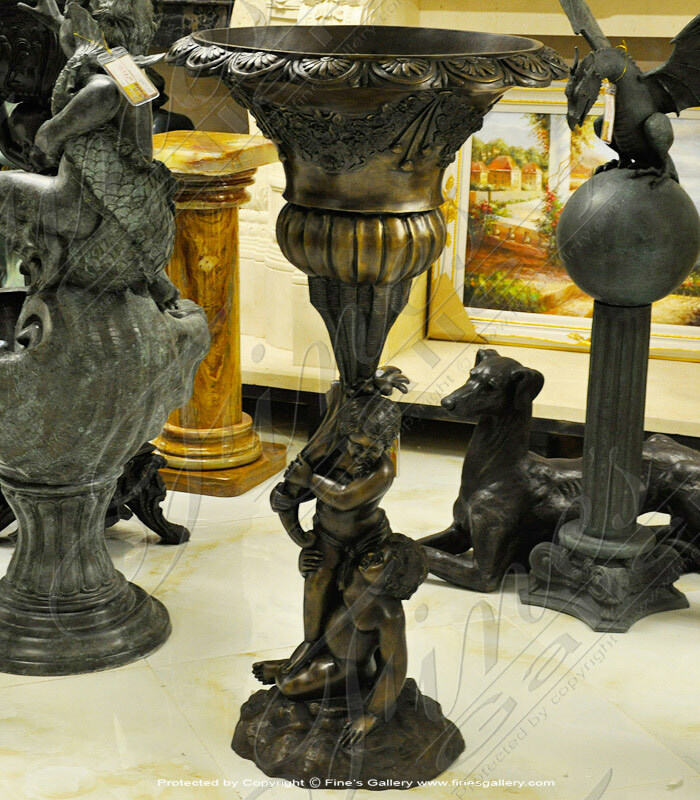 Use the elegance of fine bronze artwork to enhance the luxury of your home. Price Per Pair! 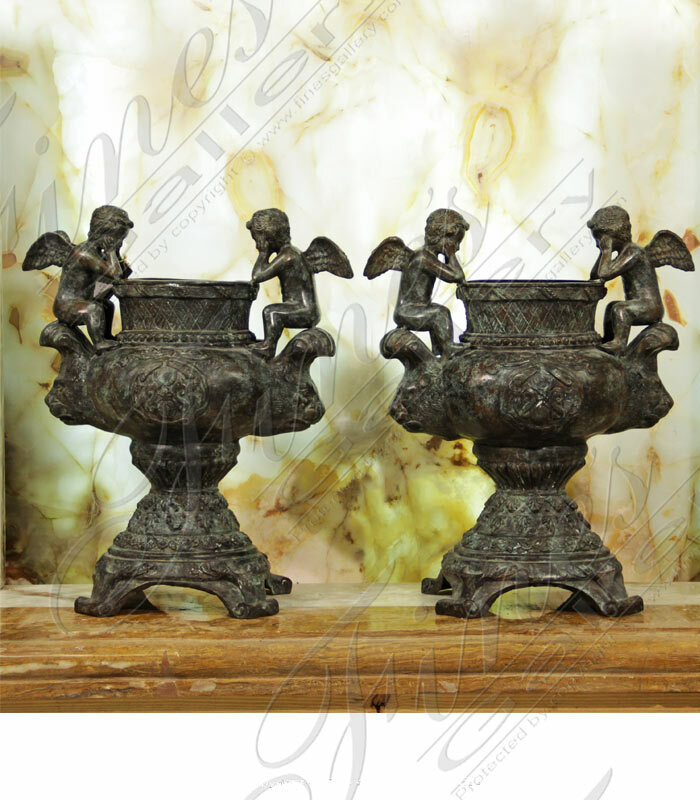 Beautiful Bronze Cherub Planter Pair. 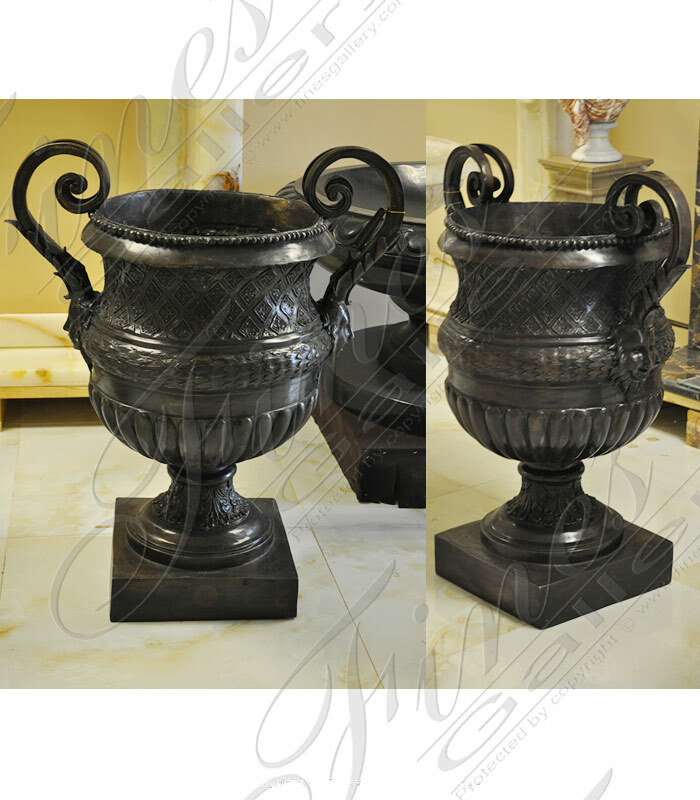 The description for this beautiful Bronze Planter is not available at this time. If you require additional information for this product please call 1-866-860-1710 and talk with a sales representative at anytime. 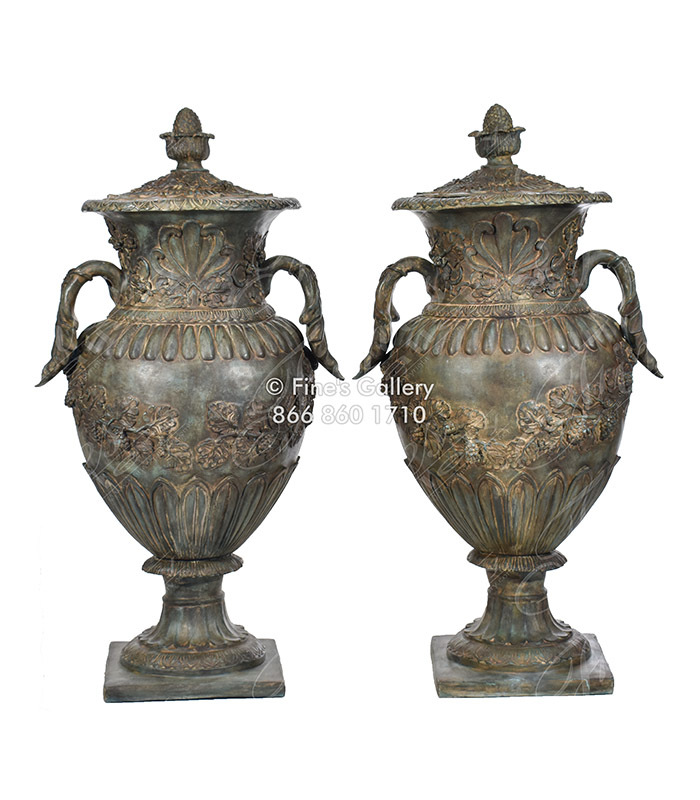 Antique Patina Bronze Urn Pair. 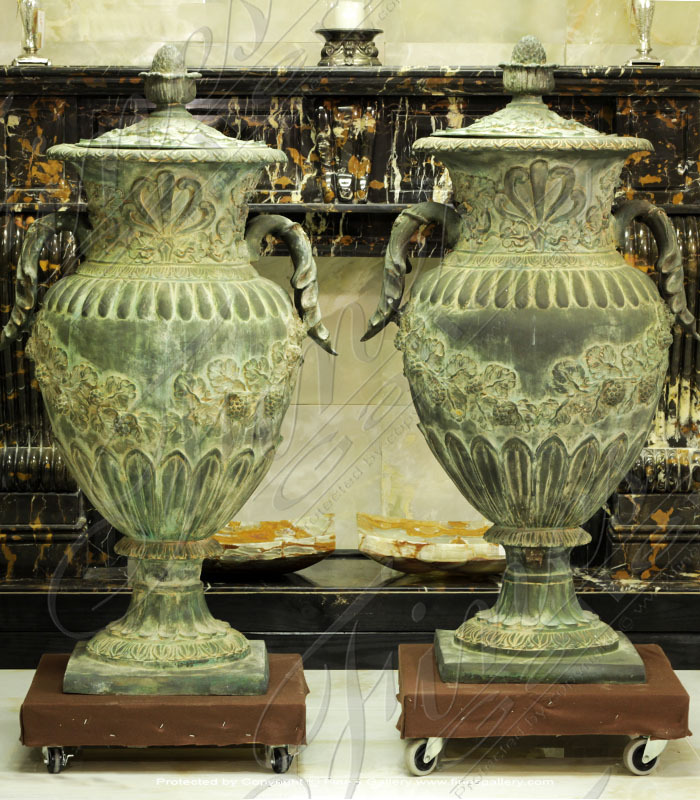 Cherub Lion Planter Pair in antique patina finish. Featuring floral rose garlands, winged cherubs and ring mouthed lion heads. 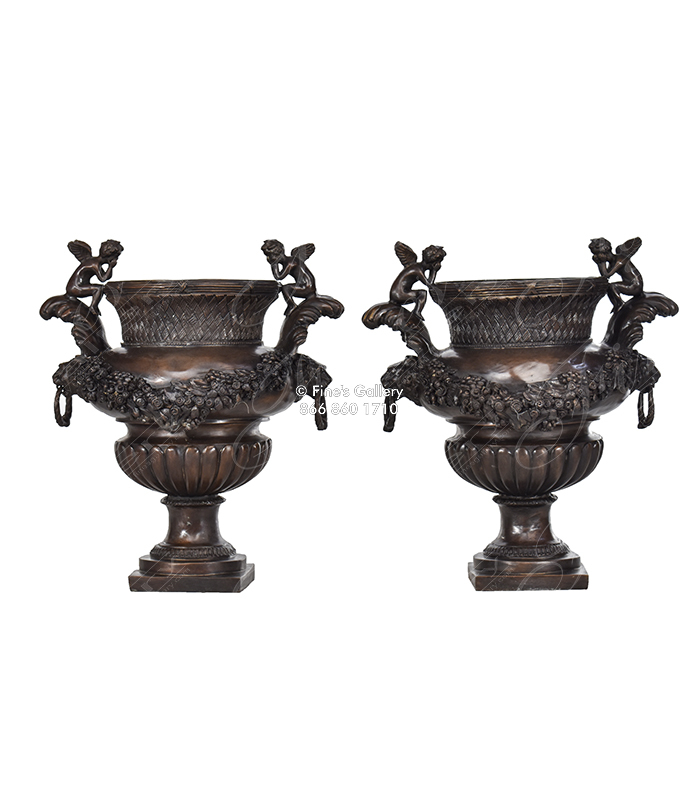 This decorative bronze planter pair features floral detail throughout. A traditional classic bronze finish and optional finial cap. 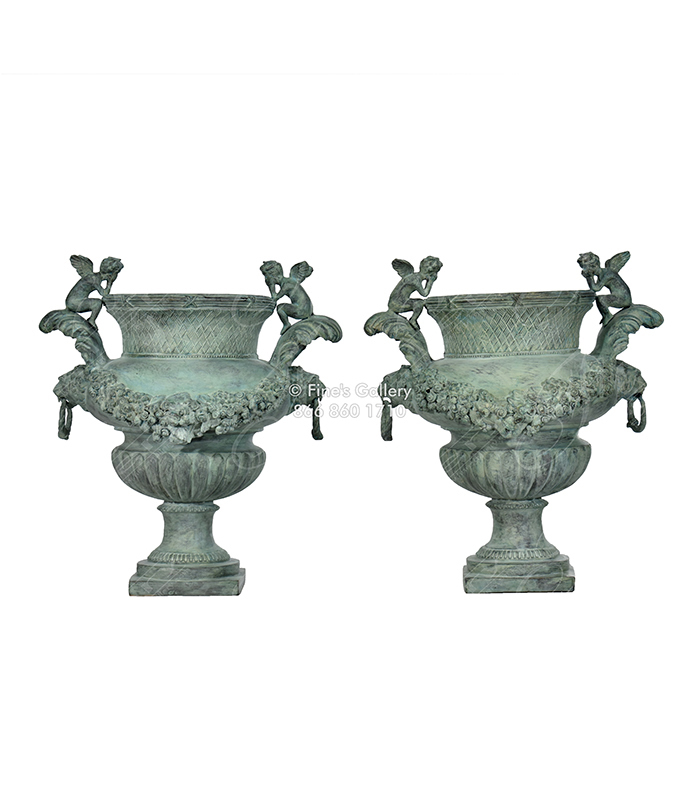 This decorative bronze planter pair features floral detail throughout. A patinad bronze finish and optional finial cap. 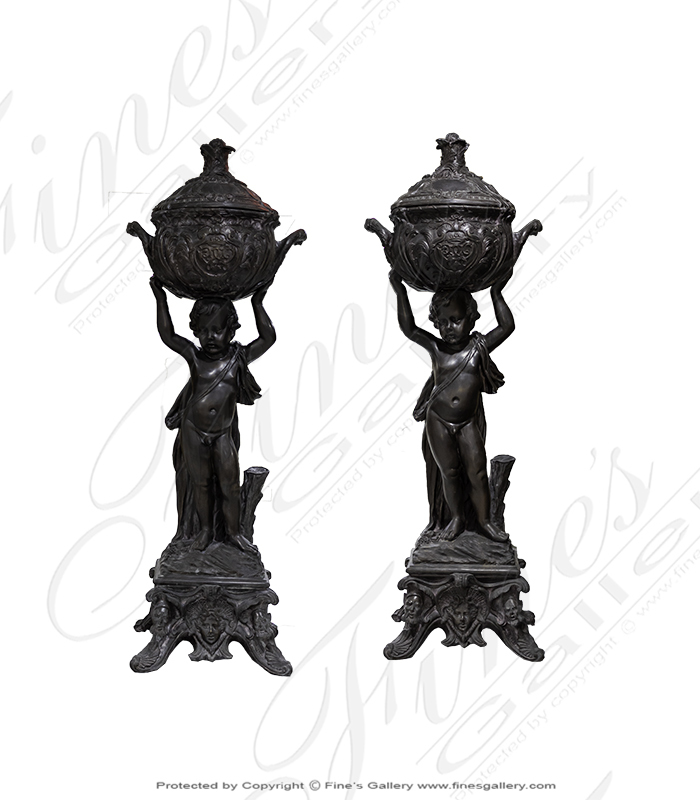 This beautiful high quality bronze children planter pair is available for a limited time only. 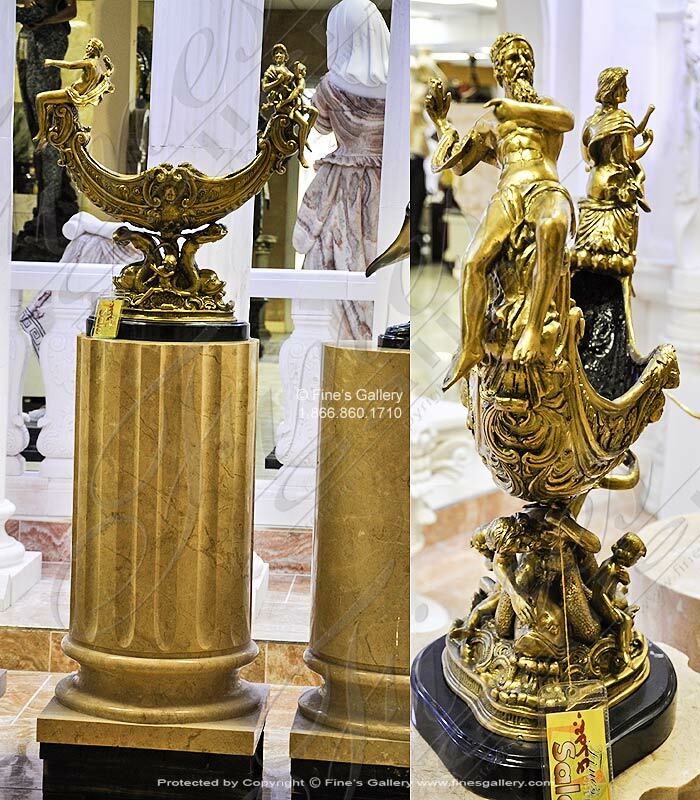 This and all of our bronze products are of the highest quality materials and worksmanship. Please accept no imitation! Priced for a pair! 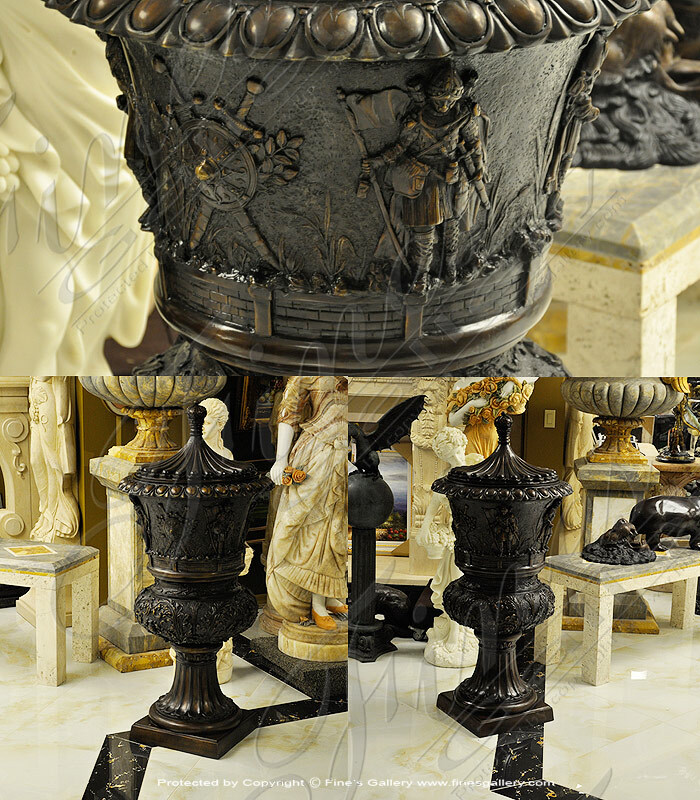 This is a gorgeous and luxurious bronze planter full of carefully crafted and meticulous detail. Little golden cherubs sit around the edges of this ornate silver toned piece, featuring mythical animals and classic Grecian detail. Call us today. Gorgeous! 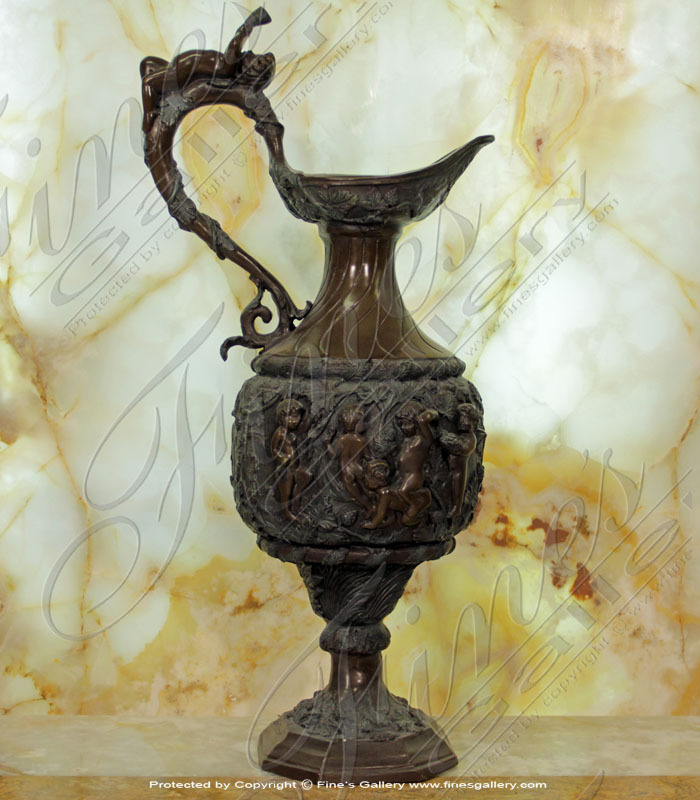 The Ornate Vineyards Urn is cast in beautiful Classic Bronze. 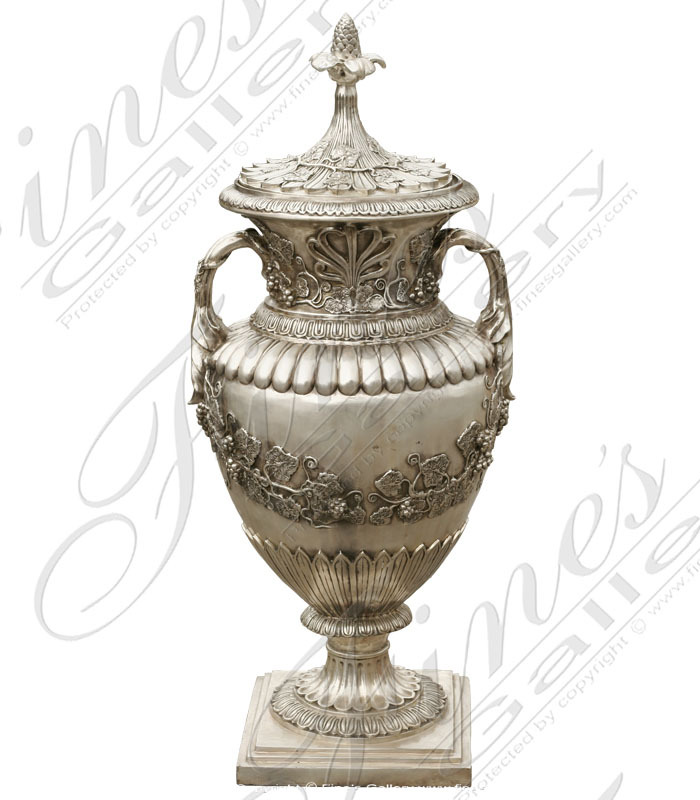 Decorated throughout with finely detailed grapevine artistry, this Planter will provide your Home or Garden area with luxury and grandeur. Contact us today for assistance. This is a very unique treasure, cast in bronze with hand carved artistry. 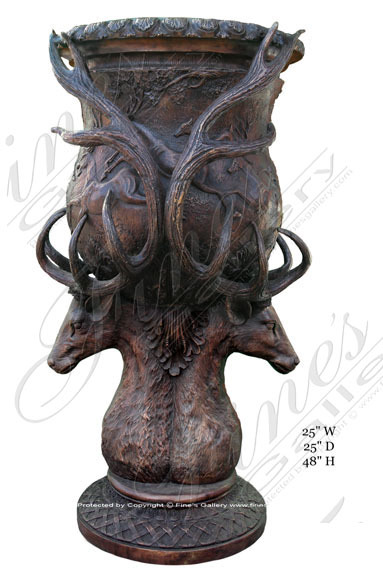 Two stag busts form the base, as their antlers wind around the gorgeous bronze planter. Place your favorite flowers in this structure and enjoy. The Patina Bronze Planter is cast in a our Beautiful Bronze Patina. 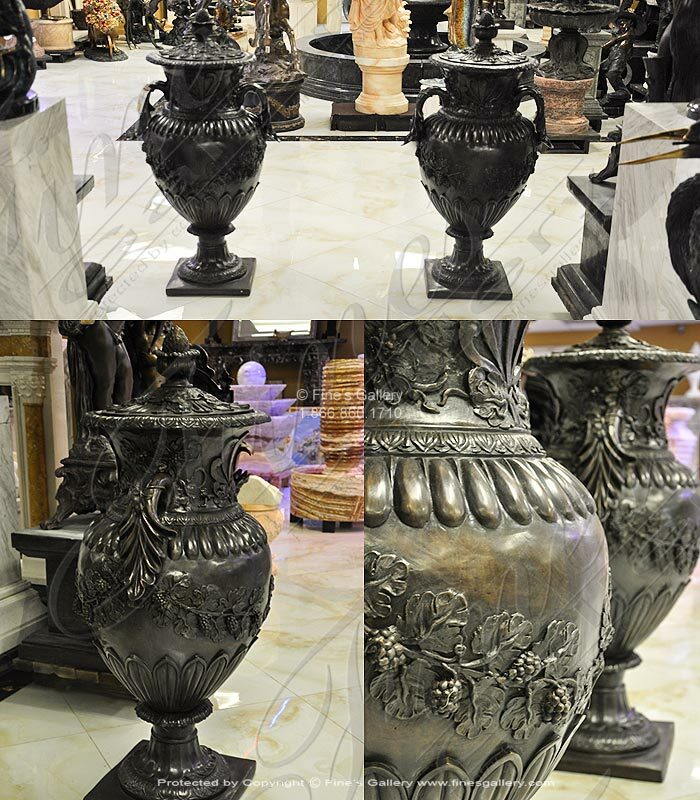 This Bronze Planter/Vase will bring you years of enjoyment. The Planter depicts two young children holding the upper portion of the Planter for you. A highly artistically detailed piece.